Aralkum desert is currently the youngest desert in the world, its age is about 60 years. 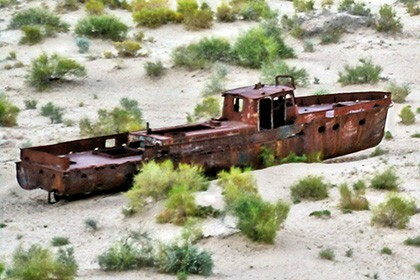 Drying out of the Aral Sea dates back to the 1960s, and from that time the new desert Aralkum began to be formed. It got its name by merging the words "Aral" and "kum", which means "sand", that is, literally "Aral sand". Nowadays, the desert area is about 38,000 square kilometers and this figure is constantly growing. Sandstone storms, which carry the remnants of salts over long distances, are a fairly frequent phenomenon in this desert. 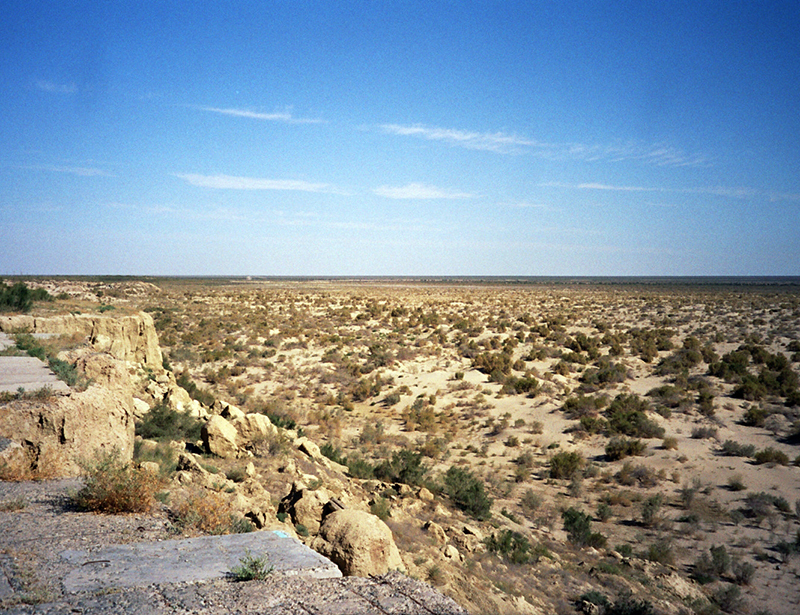 Grinded arid territory caused the disappearance of more than 200 species of plants and animals, making it almost completely empty. Only shrubs of saxaul grow on the surface of the former seabed. The desert has another quite explicable name - Akkum, that is, the "white desert". So it is called because of the large amount of white salt cover over its entire coast. In the sands of the new desert Aralkum scientists and archaeologists have found the remains of one of the oldest medieval fortifications with a mausoleum which age exceeds 6 centuries. Remains of burials and various workshops were found nearby, where a variety of ceramic products were manufactured. With the help of this finding, scientists were able to more accurately determine the life and customs of local residents of those times, and also found that their death was caused by an unexpected flood from which people could not be saved. 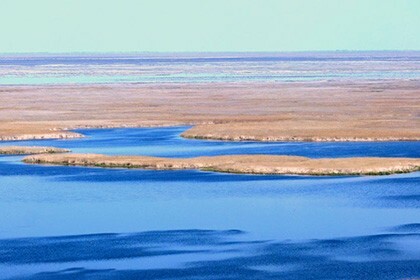 Who knows how many stories like that this vast seabed contains and what events took place over many centuries before the formation of the Aral Lake. 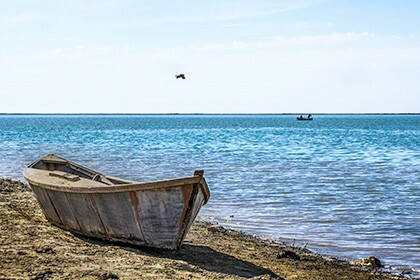 We can only guess and hope that once the turquoise fishing sea regains its former shape, it will be filled with water and will rustle with its former ringing surfs.